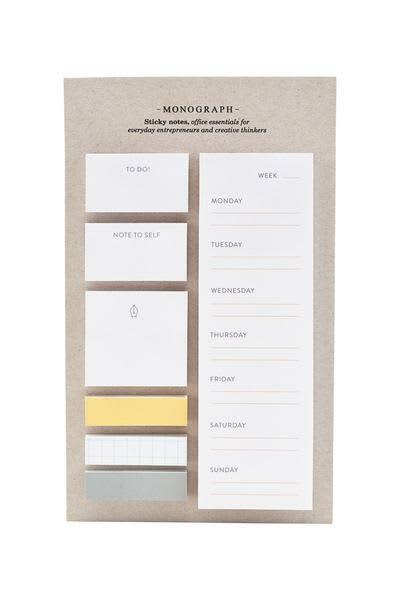 Sticky notes from Monograph will help you remember everything from small thoughts to your everyday doings. Use the sticky notes for small notes in a block or book – or use them to create a small check list. In one pack you will find 7 pads with Sticky notes.